The Vision of the Tru Results Service System is to offer members of Fitness 1440 Dallas, programs and services designed to get the results you are looking for with the help of a Fitness Professional (FitPro). Tru Results was developed to ensure that all members were given the best chance to succeed with their exercise program by providing them with proper testing, proper education and proper programming in order that the member would have every opportunity to stick with your program, get great results and have fun. 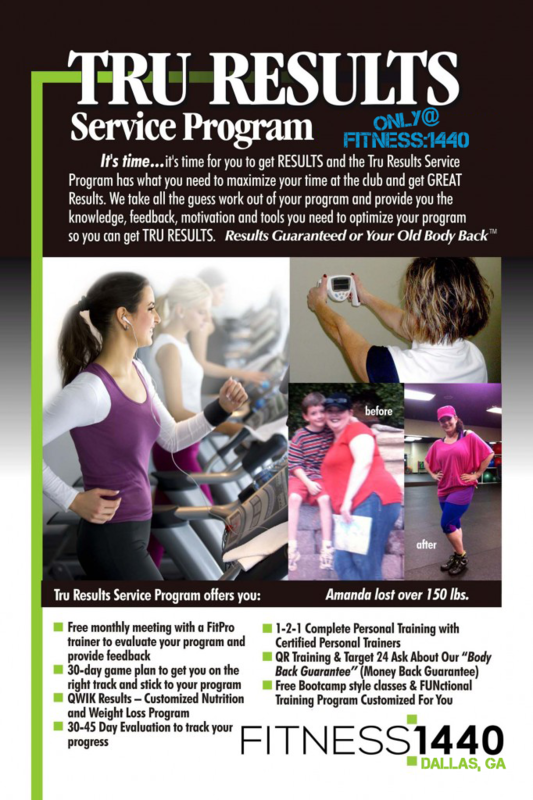 It is Fitness 1440 Dallas’ mission to have every member involved in some aspect of the Tru Results Service System.